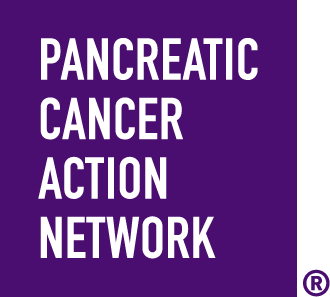 When you Wage Hope at PurpleStride Raleigh-Durham 2019, the walk to end pancreatic cancer, you join a vibrant community of survivors, impacted families, loved ones, researchers and advocates committed to rewriting the future of this deadly disease. Your fundraising and participation directly funds efforts to help patients and families. Come out and stride with us! Go mobile and use Map My Run to track your progress throughout the walk. Park in the parking deck on Partners Way. Please follow signage. Are you a Captain of a team with five or more members who’d like to pick up packets for your entire team? RSVP in advance so that you get your materials quicker at packet pick-up. If you decide to pick up for your entire team (please, no partial team pick-ups), make sure to let each member know so that there isn’t any confusion! Awards & Recognition: Awards include a 2008 Mid-South Regional Emmy for best weekend newscast; 2009 Mid-South Regional Emmy for Spot News; 2012 Mid-South Regional Emmy for Breaking News; 2012 National Emmy nomination for Breaking News; Two Georgia Associated Press awards for best spot news and best feature. News Philosophy: News is about people. If we can make it relevant to the lives of the people in our community, we have done half of our jobs. The other half is making sure that information is accurate and pertinent. Education: Bachelor of Arts in Mass Communications, 1986, University of South Florida, Tampa, Fla. Birthplace: I was born on the Island of Tortola, British Virgin Islands and grew up on the Island of St. Thomas, U.S. Virgin Islands. Likes Best About North Carolina: The North Carolina coast which reminds me of growing up in the Virgin Islands and the North Carolina Mountains, particularly during the Fall, my favorite time of the year. Most Memorable Assignments: Covering the news gives us an opportunity to have a front-row seat to memorable and historical events in our community and sometimes around the world. In our community, I witnessed firsthand the resilience and fortitude of friends and neighbors after Hurricane Irene and the April Tornado of 2011. Overseas, I was given such an opportunity to travel with Fort Bragg troops to northern Afghanistan in 2011 and the battle in Iraq in 2003 & 2004. I considered it an honor and a privilege to tell the stories of the troops waiting in Kuwait to head to the frontlines and the Fort Bragg troops stationed in Mosul, Iraq. DJ Thom Dunn has enjoyed a career as a professional Disc Jockey for over 25 years. Starting as a hobby during college at Appalachian State University, in Boone, NC, he quickly turned his hobby into a successful career, while achieving two college degrees; one in marketing and one in advertising and graphic design. As a mobile DJ, Thom has performed for all kinds of events, including weddings, birthdays, sorority and fraternity functions, church events, neighborhood events, pool parties, charity events, etc., proving his ability to play to many diverse crowds and mix the music of many musical genres. Although his forte is in the top-40 arena, Thom has a vast knowledge of music from all cultures and formats. His ability to “read a crowd” … something many DJs either don’t care about or don’t have the ability to do … makes him a true asset to any venue or event that he is playing.